How many bent t-posts does it take to change a light bulb? That's not what I was going to say but it certainly came to mind in a goofy moment as I contemplated a title for this post. The real fill-in-the-blank is, how many bent t-posts does it take before we finally buy the proper tool for the job! know the right terms, but a picture is worth a thousand words anyway. The slip hook can be used with a chain to pull corner posts or stumps. And push down the lever. The post comes right out of the ground. Best of all, it's still straight which means we can use it again. A piece of proverbial cake. What kind of post setter do you use? I am embarking on the same road. Can you show fence post setting and wire stretching? Thank you!! I was at the farm yesterday. So far, twin Babydolls, two Jacobs. The goats are horizontal and have three more weeks to go. They are going to need skate boards!! Hey, there's an idea for Ziggy! Brilliant! I have never seen one of those before. We absolutely LOVE our post puller! Only took about a half dozen to-be-pulled posts for Paul to give up swearing & go buy one. He's a smart 'un! Stephanie, you need to get a Lehman's catalog! That's where I first saw them, though I bought this one at Tractor Supply Company. Carolyn, LOL. I can so relate. Funny how we think we can do without certain tools, not realizing they are worth their weight in gold! I think Alphie Assistance should come with the complete package and not as an option! How adorable he is! I JUST found out about t-post puller last year. After many a ruined post. Wonderful to have around, aren't they? Keeping my fingers crossed for Ziggy babies ASAP. That girl looks ready to go. Leigh, I second the request for a demo on installing the fence posts and wire---please. We "inherited" a few T-posts with this house. Mostly I've used them to hold up saplings. But we just get the soil wet and wiggle them until they come out. I guess with as many as you need to move that isn't a good option. Alphie makes a good helper it seems. Seems to take after mom in curiosity. Cassandra, you sound like us. 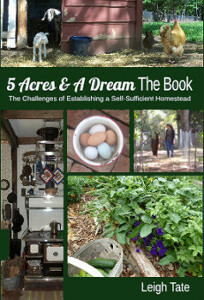 Homesteading is truly a learn as you go proposition. I check on Ziggy almost hourly, but nothing is happening yet! There's a saying in our family which is "Ya gotta have the equipment!" . . . seems like one of us says it at least once a month. Poor poor Ziggy. Sure hope she drops soon. Please go whisper in her ear that her "fans" are anxiously waiting! too bad Tposts don't go "IN" as easily! I've never seen this tool. This maybe something we need to invest in getting. Especially since we have several T posts to remove at the end of the year. Your T-post puller is a different design than mine, mine has a pin that I was always afraid of loosing, s-i-l drilled a hole in it and attached it with a chain, like design of yours you don't have a separate pin. Difficult ones to pull, I just put some water around the base and let is soak in, then they come out like the ground was butter. Always easier to do a job with the right tools. I borrowed one of those a few years ago to remove some of mine and isn't it just the bomb?!!! I absolutely think it is one of a fencer's best friends. Icebear, LOL. It is too bad! 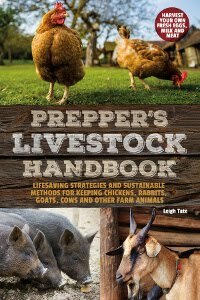 Sandy, I got mine at Tractor Supply Co., but they're available elsewhere and online. Very helpful! TL, good idea about the water. I'll have to remember that after we've had a dry spell. I've seen several models of these, but just bought mine locally. Sherry, that is definitely true! It's a marvelous tool, making this short woman's work easier!! Laura, so how do you put t-posts in? I tried Dan's post pounder but a 6.5 foot t-post was so tall and it was so heavy I got nowhere! Cloud, he's curious about everything! Jen, all prayers for an event free delivery for Ziggy are appreciated! That thing is really, really handy! Cool!